Premteerth, authored by the current Prime Minister of India in his youth, Narendra Modi, is a poignant book that brings to you the stories he had written during the time of Emergency imposed on India. It was originally written in Gujarati, this is the Hindi translation of the book. 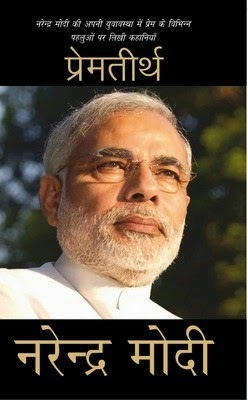 Narendra Modi is one of the most talked about persons on media today. He recently became the Prime Minister of India, the largest democracy in the world. There are those people who adore Modi’s administrative capabilities. His developmental activities in the state of Gujarat have now made it a prosperous and flourished state in the country. There is also a sect of people who have been doubtful of his abilities as a secular leader. However, very few people know that he is an excellent writer as well. Premteerth reveals a hitherto unknown, delicate and emotional side of his personality. Modi asserts that a mother's love is the source of all kinds of love in the world and that there is no greater love than that of a mother's. The love between friends, between a teacher and his student, a doctor and his patient or even the love between couples, are all echoes and shadows of a mother's love. The moving stories written in this book are from the year 1975 to 1977, when Emergency had been imposed in the country under Indira Gandhi’s rule. As a result of Emergency, Rasthriya Sevak Sangh (RSS) was debarred and therefore Modi had to go underground too, as a young member of the organization. He is known to have changed disguises to avoid being arrested back then. During this time, Modi was assigned the responsibility of making and distributing pamphlets and posters. These extended times of isolation brought out the writer in Narendra Modi. Narendra Modi is an Indian politician, writer and the 14th Chief Minister of the state of Gujarat. A member of the Bharatiya Janata Party, he is the current Prime Minister of India, inspiring many youngsters with his nationalistic views. Well known for his tenure as Gujarat's longest serving chief minister, he has served four terms and his contributions have pushed the state towards better development. He has won much acclaim for his contributions to politics and the State of Gujarat, including, Gujarat Ratna by Shri Poona Gujarati Bandhu Samaj, and has appeared in Time's 2014 list of the most influential people in the world.